It’s Xmas again, The heating is on, the snow is (maybe) falling, the days are short, the nights are long, this can only mean one thing!!! It’s time for the 5th edition of the ‘ Great Big Ukulele Xmas Singalong ‘ the longest running ‘dutch’ ukulele event in the NL !! As always, hosted by those cheerful folk from the Groningen Ukulele Society, this year in the Lola, the prettiest venue in Groningen – (Pelsterdwarsstraat 11, 9711 KP Groningen). Ukulele Xmas Singalong with D’Clog n’ friends !! Our sisterclub from Bremen will be there to entertain and keep the party going, the polder folk will be there keeping up the fun. Will You ???? It’s FREE !! It’s on saturday the 17th of december !! It’s at a new venue – the Lola !! It’s gunna be ukulele madness !! 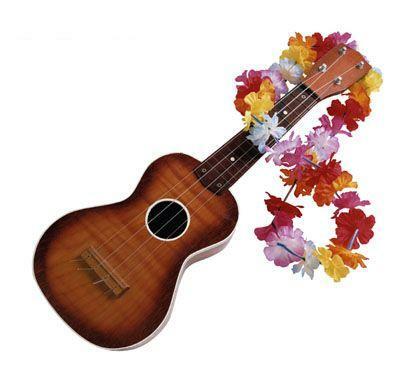 Categories: De Grote Ukulele Kerst Sing-a-Long, News | Tags: Christmas, De Grote Ukulele Kerst Sing-a-Long, G.U.S., Groningen, Groningen Ukulele Society, groningen ukulele society meeting, GUS, Harderwijk Ukulele Festival, Lola Groningen, meeting. 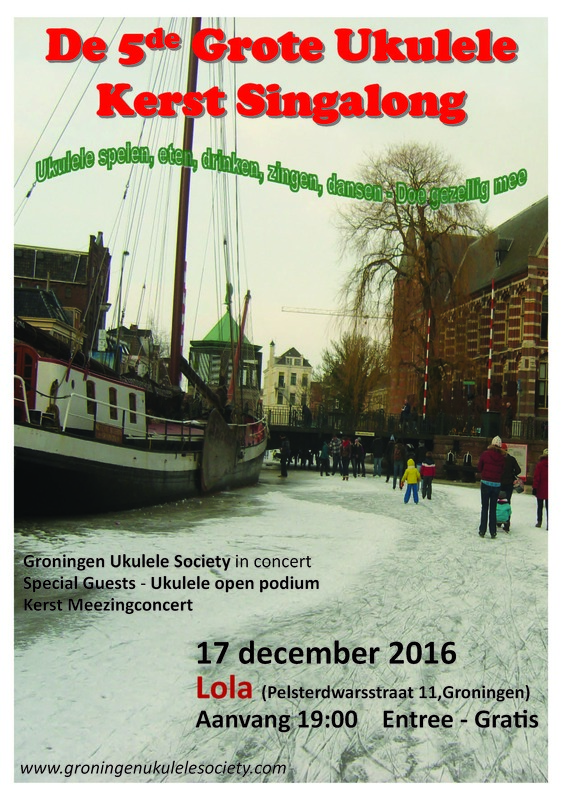 groningen ukulele society, Ukulele groningen, Ukulele nederland, Ukulele Netherlands, ukulele nl, ukulele performance, Xmas | Permalink. De volgende meeting is in de bovenruimte van O’ceallaigh Irish Pub, Gedempte Kattendiep 13, Groningen op dinsdag avond, 6 september 2016 van 19;00 tot 21:30 uur. The next GUS meeting is in the upstairs room (lounge) of o’ceallaigh Irish Pub, Kattendiep 13, Groningen on tuesday the 6th of september 2016. The session starts at 7 0” clock and finishes (officially) at half past nine. Categories: Meetings, Uncategorized | Tags: G.U.S., Groningen, Groningen Ukulele Society, groningen ukulele society meeting, GUS, meeting. 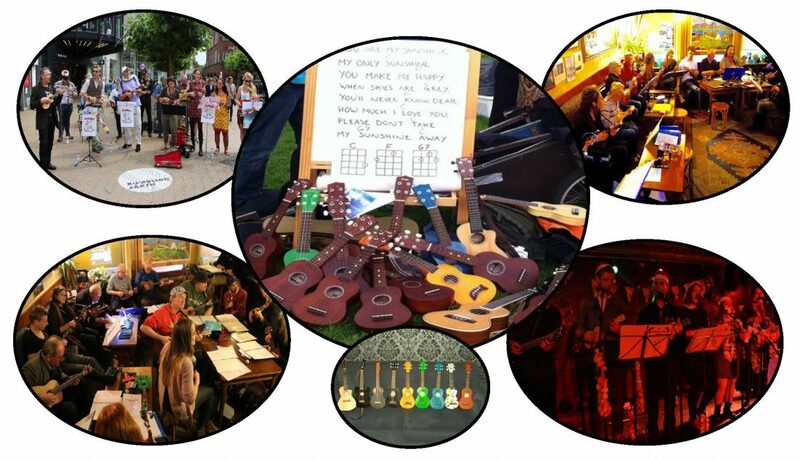 groningen ukulele society, o'ceallaigh irish pub, ukelele, ukulele, Ukulele groningen, ukulele holland, ukulele meeting, Ukulele nederland, Ukulele Netherlands, ukulele nl | Permalink. De volgende meeting is in de bovenruimte van O’ceallaigh Irish Pub, Gedempte Kattendiep 13, Groningen op dinsdag avond, 17 mei 2016 van 19;00 tot 21:30 uur. The next GUS meeting is in the upstairs room (lounge) of o’ceallaigh Irish Pub, Kattendiep 13, Groningen on tuesday the 17th of may 2016. The session starts at 7 0” clock and finishes (officially) at half past nine. Categories: Meetings, Uncategorized | Tags: Groningen, Groningen Ukulele Society, groningen ukulele society meeting, GUS, meeting. 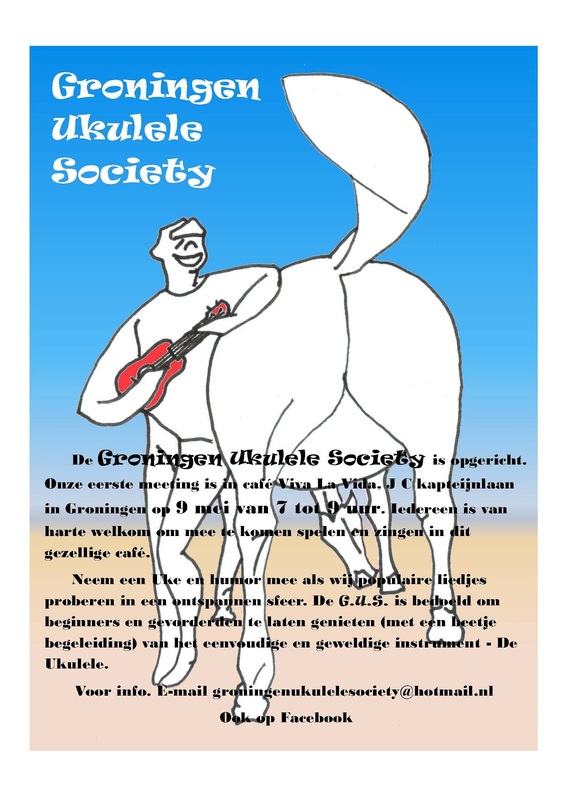 groningen ukulele society, o'ceallaigh irish pub, ukelele, Ukulele groningen, Ukulele nederland, Ukulele Netherlands, ukulele nl | Permalink. Recensies – The Next GIGOptredens, Festivals en Podia in het Noorden. Categories: Uncategorized | Tags: A Seated Craft, Anne Janelle, G.U.S., Groningen Ukulele Society, James Hill, James Hill Anne Janelle, Ukulele groningen, Ukulele Netherlands, Ukulele Workshop | Permalink.